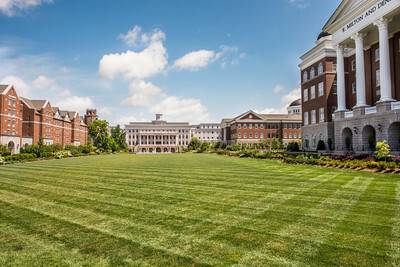 Belmont University was featured as the cover story of The Knowledge Review’s August 2018 issue as one of the 10 Best Green Schools in America. Understanding the need to take care of God’s creation as more than a cause, but a charge, the article highlights Belmont’s numerous sustainability and conservation efforts on-campus, in the community and beyond. The Knowledge Review’s August edition features schools that are dedicated to educating students to be environmental leaders of tomorrow and helping them protect the earth. The cover story recognizes Belmont’s countless conservation and sustainability initiatives, including many LEED certification, campus green roofs, composting system, geothermal heating and cooling, receipt of the Governor’s Environmental Stewardship Award and more.